It seems harder than ever to find just the right gift these days. 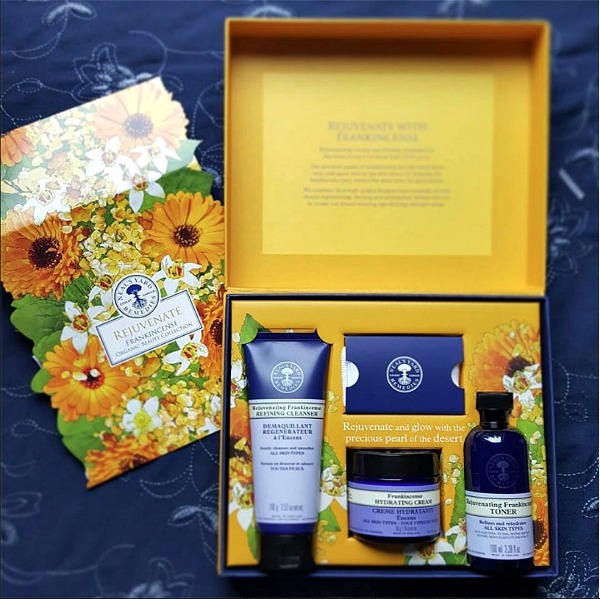 Organic gifts are a way to show you really care, and these amazing, beautiful organic gift sets from NYR Organic will please the senses, with the pure luxurious scent of top quality essential oils, and the gorgeous boxes that don't really need gift wrap! 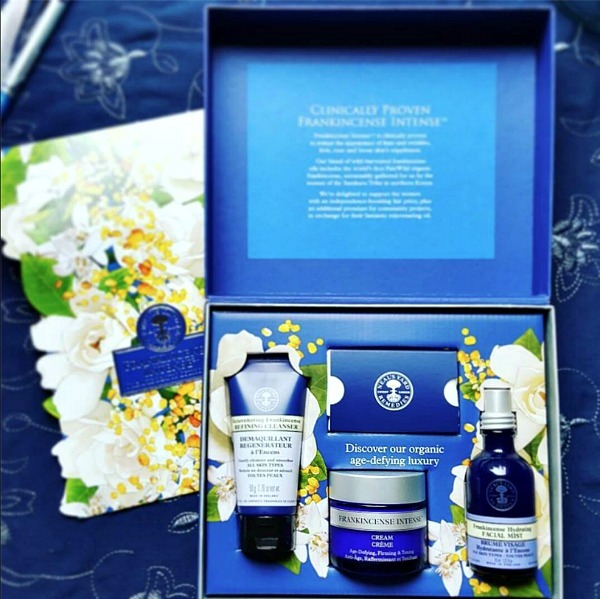 I saw all of these gift sets in person at NYR Organic's national conference this summer. I can tell you, the photos you see here barely do them justice. They are incredibly beautiful! And because I have used many of NYR Organic's products daily since I got my first shipment in April 2014, I feel very confident recommending them for you, your family, and your friends. 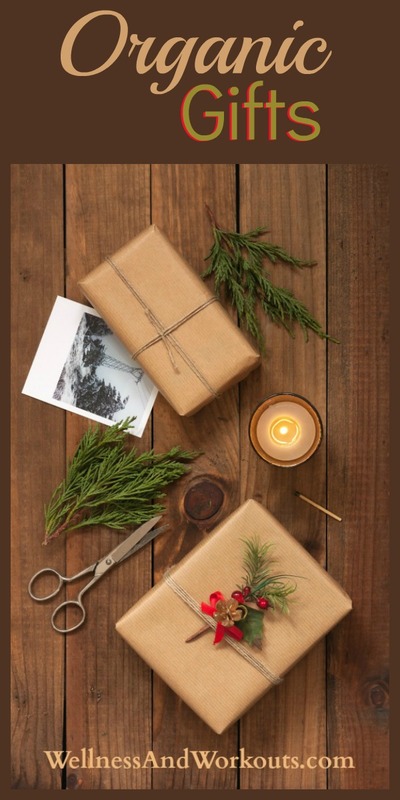 Scroll down to learn how to save big on these gift sets! Our Frankincense Intense Cream is our #1 Seller. The price of this set it currently less than what is usually sells for, by itself! These are three of my favorite Frankincense Products. I absolutely LOVE this facial cleanser and cream! 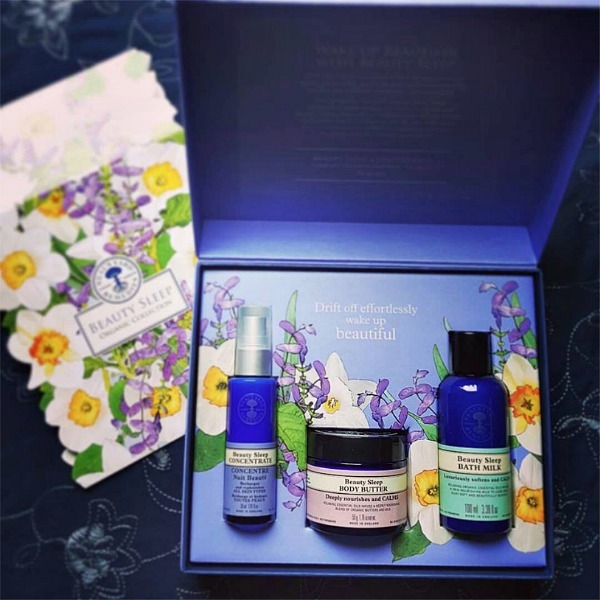 The scent of NYR Organic's Beauty Sleep products is just so wonderful, I love it! And the concentrate is super hydrating. You can't go wrong with this set! For a limited time, NYR Organic has an expanded line of gift sets that are on sale now through Monday, November 30th, 2015. But if you see a set you like, be sure to snap it up! These gift sets sell out quickly! If you're like me, and love to get top quality products at the best prices, why not join me today as an NYR Organic independent consultant? 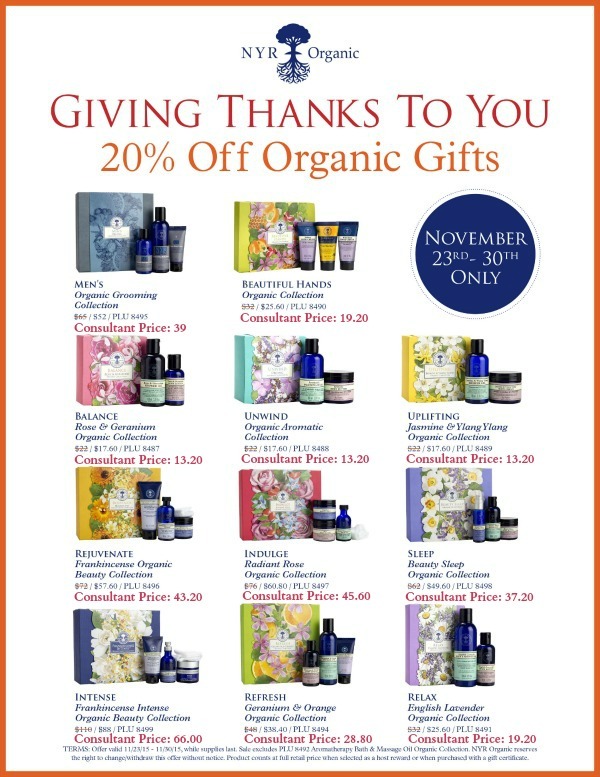 When you join, you will get fantastic savings on many of NYR Organic's best-selling products that come in your starter kit. 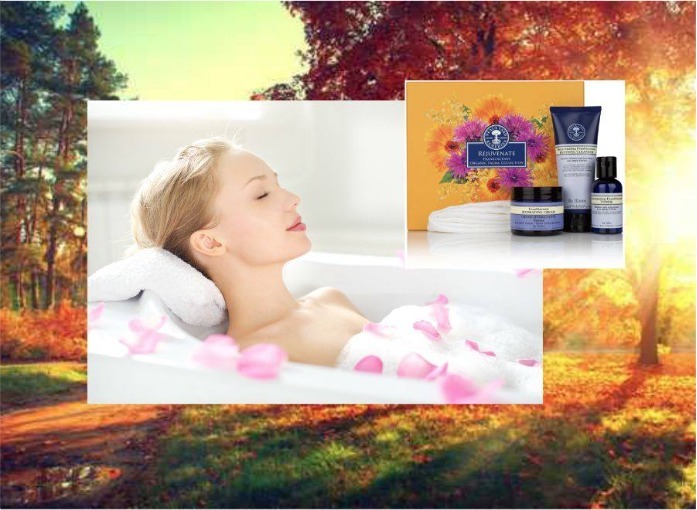 And with NYR Organic, there are no monthly sales quotas, or purchase requirements. No autoship. Want to remain an active consultant? 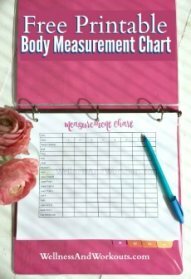 Just sell or purchase 100 retail in products one calendar month per year (starting from the month you join). The company culture is very positive, and no-pressure. Sign up here now, or contact me with any questions! If you join now, and act fast, you may be able to snag some of these sets at the consultant prices!